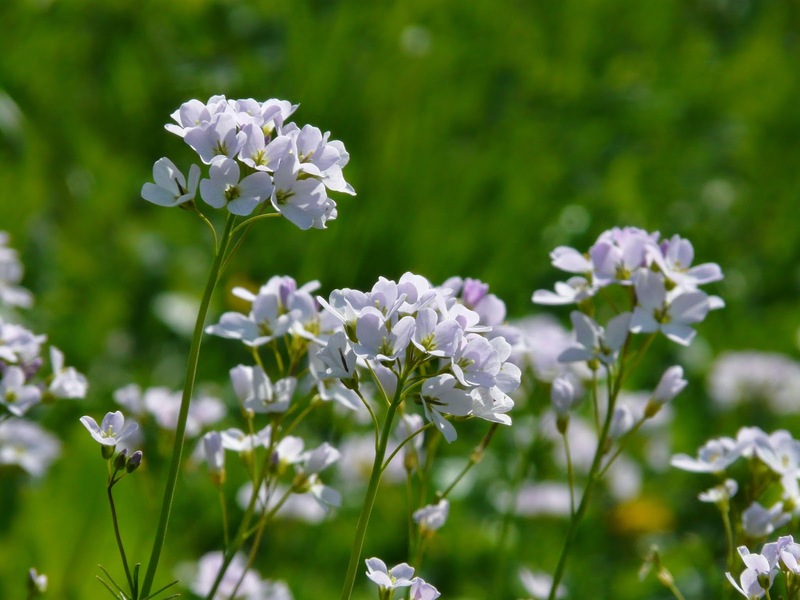 This year I heard my first Cuckoo on Thursday 24th April, its arrival coincided with the first Cuckoo flower of course. There are earlier signs of Spring such as the arrival of the Glasgow University geology students in March and Calmac's summer timetable. On the BTO (British Trust for Ornithology) website the "Bird track" map showed the most northerly cuckoo report on 24th in Northumberland so we are ahead of the game. Despite Cuckoos now being on the red list, "endangered" after a 60% drop in numbers since the 1960s here in NW Scotland numbers have increased slightly. One of the reasons cited for cuckoo decline is of course modern agriculture; lower insect numbers due to pesticide spraying has reduced host species numbers; meadow pipit and dunnock, in England and presumably S. Scotland. Here with crofting agriculture, bogs, upland heath and scrub woodland the host species still flourish as does the cuckoo's main food species the hairy caterpillar. Forty something years ago when I was doing a hill lambing in Glenisla I did my first round of the lambing ewes at 4.30 am, one morning I found 12 dead lambs, most headless and some legless. A fox had done it in a killing frenzy. At lunchtime Kate found the fore leg of a newborn lamb by the gate to the hill park. It had been severed from the body as if by an axe, cut clean through the bone a fox modus operandi. How the leg got there I don't know, it wasn't there in the morning when I took the goats up. Perhaps a bold daytime traveling fox dropped it or it had been picked up by a crow or buzzard and then dropped. There is a lamb killing fox about, Rosie, Hughie and Elaine have all lost lambs in the last three days. A walk round the hill with the rifle before bedtime might be a good idea. The Bresse Gauloise eggs from Ralf in Germany weren't supposed to hatch until tomorrow, Good Friday. They started hatching today. I thought that the incubator was running a little on the high side, 37.8 C instead of 37.5C even such a small difference over 21 days can make a difference. But there is always a normal distribution of things in biology, the "bell curve" , in any population some individuals are early, some are late and most are around average. So some start to hatch on day 20 and there will still be some to come on day 22 with the majority on day 21......... Enough of statistics! There is an early little black chick because I also got some of Ralf's "Copper black maran" eggs, these lovely black hens with copper neck plumage lay eggs with dark chocolate shells that are good for farm gate sales. I got eggs from Ralf and an English breeder so that the two lines are as genetically distinct as possible and will produce very fertile eggs. As I explained to the Editor (Kilchoan Diary) in the pub earlier. ......In the past I could have rattled off a post like this in minutes, now I have to switch between computers, the new "tablet" which is like learning computers all over again and the old laptop that has all of then images on it. But its always the same when I change computers it takes forever to learn the new systems.